For most of us, summer is synonymous with hanging out at the beach, soaking up the sun, barbeque-ing and catching up on a little R&R, but for some Young Audiences Arts for Learning affiliates, summer also signifies something else- the start of their summer internship programs. These programs go by different names depending upon the affiliate - “ArtWorks” at Arts for Learning Miami and The Center for Arts-inspired Learning in Cleveland, OH; “ArtsWork” at Community Programs in the Arts (COMPAS) in St.Paul, Minnesota; and “ArtsCorp” at Young Audiences New Jersey and Eastern Pennsylvania- but they have one important thing in common; they all strive to see young adults thrive and gain experience and life skills that will prepare them for college and beyond. 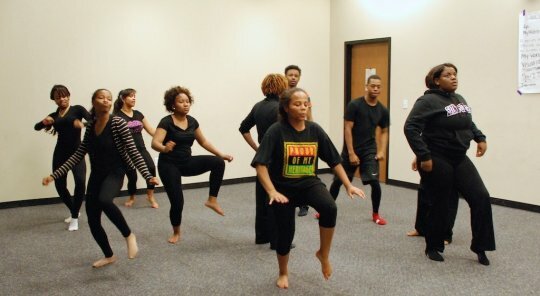 These programs allow students to get actual, real life experience in one or more artistic fields. Though the overall experience might be arts based, the lessons that students take away from their experiences are far from being solely “arts specific.” Students experience many things that are applicable to any job or life situation, such as money management, learning how to network, public speaking, and even how to develop a resume. Though these programs take place in the summer, they should not be mistaken for summer camps or arts conservatory programs, but jobs. Students are expected to work 20-30 hours a week for 5-6 weeks, depending upon the program they are involved in, and to demonstrate professionalism in everything they do. Young Audiences New Jersey and Eastern Pennsylvania’s public relations director Denyce Mylson describes their summer programs as “a fantastic opportunity for students to use their passion for creativity to build confidence and gain essential and practical job readiness skills to maximize their potential as they prepare to enter the 21st century workforce. Through this program students learn problem-solving skills, critical thinking, teamwork and collaboration, professionalism and develop a strong work ethic – all the crucial skills today's employers seek in candidates for employment." The programs at each affiliate vary in size, hiring anywhere between 10 and 120 interns for the summer. Though the goals are largely the same, each affiliate has their own variation on the programming they offer and the specifics of how the internships are run. “ArtWorks” at Arts for Learning Miami is the second largest of the Young Audiences summer internship opportunities, employing 50 interns in their program. This number has increased from 40 students in previous years, thanks to the addition of a second Visual Arts co-op, made available through the support of the Jonathan D. Lewis Foundation, and The Miami Foundation. The program consists of internship “co-ops” in the disciplines of visual art (2 Sections), creative writing, dance, and theatre. There are usually about 10 students in each section. The interns meet five days a week, Monday through Friday at either the Bakehouse Art Complex or The Light Box at Goldman Warehouse. Each co-op group works together to create different pieces in their respective disciplines, and then culminates with a large exhibition or performance in which each group presents the work that they have been doing throughout the session. In addition to their personal works, the groups also present a larger, collaborative work at the exhibition. Aside from the pieces for the exhibition, students also have the opportunity to work in their groups to create a proposal for an “Arts for Learning Public Service Announcement” that they present to a panel of staff members for adjudication. The successful proposal will then be fully funded and produced by Arts for Learning Miami for use in future programs. COMPAS’ “ArtsWork” program is one of the smaller summer internship programs offered by YA affiliates, employing 14 students between the ages of 14-21, but its small size can’t take away from the huge impact it has on their community. This year, the “ArtsWork” program received over 60 applicants for their theatre-themed program. The students, or “apprentices,” work together for 20 hours a week for six weeks to learn about and participate in every aspect of theatre, including writing, directing, acting, running lights and sound, creating costumes, building sets and composing music on their way to producing their own original show. The finished performance is then premiered at the Dreamland Arts Theatre in a showing that is open to the public. The program also features field trips to local theatre companies, visiting guest artist workshops, and two hours a week of guided job seeking/ job exploration; all of which helps to promote a rich atmosphere of creativity and success for the students involved. Sadly, despite 14 years of success and the great benefits that this program offers to its community, COMPAS may have to discontinue the program next year because of a lack of continued funding. Young Audiences New Jersey and Eastern Pennsylvania is proud to premiere their new “ArtsCorps” program for the first of what they hope to be many successful summers. In this first year, the “ArtsCorps’” summer program offers ten students the opportunity to explore apprenticeships in digital photography. Young Audiences New Jersey and Eastern Pennsylvania is hoping that after a successful “pilot” program, they will be able to expand “ArtsCorp” to include more co-op programs and increase the amount of students that will be able to participate. In addition to learning about digital photography, ArtsCorps dedicates one day a week to bringing in guest speakers to lead workshops on the topics including educational, work and life skills. During the course of the apprenticeship, each participant will work with professional photographer William Ortega to expand their knowledge of digital photography and the use of editing software, such as Adobe Photoshop. Through this collaboration, students work on developing their own professional portfolios and resumes for use in college applications or for seeking future employment, as well as creating a larger-scale group project with other ArtsCorps interns with the goal of benefitting their community. In Cleveland, The Center for Arts-inspired Learning’s “ArtWorks” program is the most expansive of the summer internship opportunities in the YA network, hiring over 120 students from grades 10-12. 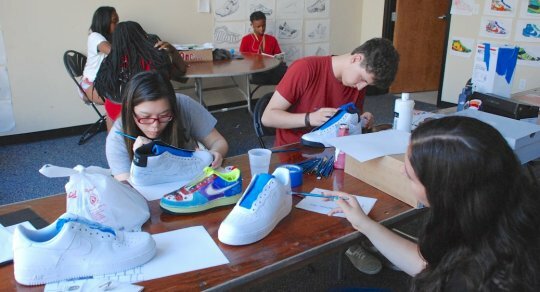 Students participate in apprenticeships that range from animation to recording arts, slam poetry, visual arts, photography, theatre, and even sneaker design. Like the other internship programs, CAL’s “Artworks” program provides workshops for students to work on vital skills such as financial literacy, resume writing, financial aid applications, and interview techniques which will help them to become more competitive in the job/college environment. Upon completion of the program, students have the opportunity to perform or exhibit their work for the public, and will have a portfolio that can be used for professional or collegiate purposes. Though their summer session is the largest and most popular, CAL also has a fall afterschool internship program that runs from September 30- December 8. CAL’s “ArtWorks” program has received great reviews and awards such as the 2011 Ohio Association of NonProfit Organizations’ Excellence Award, and the 2011 Department of Youth Services’ Director’s Community Recognition Award, and was named a finalist in January 2012 for the “Coolest Internship” award from the Northeast Ohio Council of Higher Education. The positive impact of these internship programs cannot be expressed enough. The students who have participated in these internships have often referenced back to these experiences as great resources that they drew upon going forward into college and career. To learn more about the programs highlighted above and their application processes, click on the links below.